Las Virgenes Unified School District (District) filed a Request for Due Process Hearing in OAH Case No. 2013071203 with the Office of Administrative Hearings (OAH), State of California, on July 29, 2013, naming Student. Student filed a Request for Due Process Hearing in OAH Case No. 2013080387 with OAH on August 8, 2013, naming District. OAH consolidated the matters on August 16, 2013, and ordered the 45-day timeline for issuance of the decision to be based on the date the complaint was filed in Student’s case (OAH Case Number 2013080387). OAH continued the consolidated matter for good cause on September 6, 2013. June R. Lehrman, Administrative Law Judge (ALJ), heard this matter on October 28-31, 2013, and November 4-6, 2013, in Calabasas, California. Jane DuBovy, Attorney at Law, and Carolina Watts, educational advocate, represented Parents and Student (collectively, Student). Student’s mother (Mother) attended the hearing on all days. Student’s father (Father) attended the hearing on October 28, November 4, and November 5, 2013. Wesley B. Parsons and Siobhan H. Cullen, Attorneys at Law, appeared on behalf of District. Mary Schillinger, Assistant Superintendent, and Sahar Barsoum, Coordinator of Special Education, attended the hearing on all days. On the last day of hearing, a continuance was granted for the parties to file written closing arguments and the record remained open until November 20, 2013. Upon timely receipt of the written closing arguments, the record was closed and the matter was submitted for decision. 1 The issues have been rephrased and reorganized for clarity. The ALJ has authority to redefine a party’s issues, so long as no substantive changes are made. (J.W. v. Fresno Unified School Dist. (9th Cir. 2010) 626 F.3d 431, 442-443.) In addition, issues stated in the complaints concerning: (1) the appropriateness of District’s occupational therapy and speech and language assessments, (2) the appropriateness of the goals proposed in the April 9, 2013, individualized educational program, and (3) the appropriateness of District’s offer of occupational therapy services, were all withdrawn on the record by both parties’ counsel at hearing, and are dismissed. b. predetermining that it would not offer Student placement at Village Glen nonpublic school (NPS) for the 2013-2014 school year but would only offer its own program? 2. Did the District fail to conduct an appropriate psycho-educational assessment, in that the assessment it conducted in 2013 was not sufficiently comprehensive to identify all of Student’s unique needs and did not include a variety of measures to assess in all areas of need? b. failing to offer an appropriate placement in an appropriate NPS to meet Student’s needs in the areas of academic, cognition, behavior, social skills, language and communication, and sensory processing? 4. Was the District’s 2013 psycho-educational assessment appropriate, such that Student is not entitled to an independent educational evaluation (IEE) at public expense? 2 The October 10, 2013 addendum IEP was not included in District’s complaint as originally filed. On October 15, 2013, the parties filed a stipulated motion to allow the District to amend its due process complaint to add the October 10, 2013 IEP to its allegations that it offered Student a FAPE. The motion was granted by OAH’s October 22, 2013 Pre-Hearing Conference Order. Student did not meet his burden of proof on Issue One, regarding consideration of parental concerns and alleged predetermination by District at IEP team meetings in April and October 2013. Parents attended the IEP meetings with their advocate, were afforded the opportunity to participate, contribute, express their opinions and ask questions; the IEP team adequately discussed the continuum of placement options, and there was no evidence that District made its placement determination prior to the IEP meeting, presented only one placement option, or was unwilling to consider other alternatives. Student did not meet his burden of proof on Issue Two, regarding the appropriateness of District’s spring 2013 psychoeducational assessment; District met its burden of proof on Issue Four by showing the assessment was appropriate. Accordingly, Student is not entitled to an IEE at public expense. The assessment adequately identified all areas of need such as writing difficulties, difficulties with sustained attention, weakness in completing tasks in a timely fashion, over-activity, poor self-control, elevated inattention, hyperactivity, and impulsivity, and the resulting proposed IEP sufficiently addressed Student’s academic, attention and planning deficits. Student with mainstreaming to the maximum extent that was appropriate for him in light of the continuum of program options. As to Student’s behavioral needs, although the BSP developed for the April 2013 IEP did not identify all of Student’s problematic behaviors, the IEP as a whole extensively targeted Student’s problematic behaviors and unique needs. In sum, at the time it was drafted, the IEP as a whole offered Student a placement and services that were reasonably calculated to provide him with a FAPE. 1. Student is a nine-year-old boy who resided in the District at all relevant times, and was eligible for special education and related services under the categories other health impairment (OHI) and autistic-like behaviors. 2. During the 2010-2011 school year, prior to the February-March 2011 time frame, Student attended first grade at Chaparral Elementary School (Chaparral) pursuant to an IEP dated March 16, 2010, as amended October 14, 2010. Student’s placement was in general education, full-time, with weekly occupational therapy (OT) and language and speech (LAS) services. 3. Student had behavioral challenges at school. He was destructive and threatening to other students and teachers, using scissors and other objects. He eloped from the classroom. He touched aides and other students in private areas. He ripped the buttons off an aide’s blouse. He threw chairs and overturned tables. Student experienced anxiety at home around going to school. He did not want to talk about school. Mother had difficulty getting him to school because Student refused to get or stay in the car, resulting in many tardy arrivals. 4. At the October 14, 2010, IEP team meeting, District offered Student behavioral support from a one-to-one aide. District’s consultant, Autism Partnership, conducted a functional analysis assessment (FAA) of Student on November 29, 2010, to address disruptive behavior in the classroom, non- compliance, inattention, silly behavior, aggression, elopement, and very limited positive social interactions with his peers. 5. District convened an IEP addendum meeting on December 6, 2010. The team added goals to Student’s IEP for understanding nonverbal cues, compliance with directions, and use of self-calming techniques. The team drafted a behavior support plan (BSP) based upon the FAA. Target behaviors included throwing objects, off-task behavior, jumping out of his seat, use of foul language, and hitting peers and staff. Methods that were proposed to lessen these behaviors included use of a bean bag chair, deep breathing, priming for positive behaviors, use of a break card, reinforcement for appropriate behaviors, verbal prompts, a token economy, and ignoring lower levels of attention-seeking behaviors. 6. District proposed, and Student’s parents agreed to, a program identified as an “intensive behavioral program” in a segregated special day class (SDC) setting, scheduled to begin in January after winter break. However, due to his behaviors prior to winter break, Student was removed from the general education environment and moved for part of the day into the SDC, from where he would be mainstreamed into general education, with the behavioral support of an aide, depending on his behaviors on any given day. 7. The intensive behavioral program included once-weekly teaching of social skills for compliance, reading social cues, excitement management, relaxation, and frustration tolerance. The skills were taught beginning in less provocative situations, such as one-on-one role plays, and moving toward more provocative situations in groups. This methodology was intended to teach Student to generalize the skills he was being taught, so as to utilize them from less into more anxiety-provoking situations, in order to mimic the unpredictable stressors of everyday life. The intensive behavioral program included sessions with a speech pathologist who worked closely with the behavior program, teaching Student social cues in highly structured settings, in which he made progress. The behavioral program at Chaparral also included OT accommodations for sensory input, such as a sensory ball and movement breaks. A District “behavior team,” oversaw the teachers and aides who actually implemented the program day-to-day. 8. The intensive behavioral program was developed by District’s consultant, Autism Partnership, in accordance with theoretical underpinnings espoused by its Directors and clinical team, including Dr. Mitchell Taubman. Autism Partnership is a service provider and consulting firm that provides programming support and direct services in-home, in-school and clinical, through offices nationwide and in many countries overseas. Dr. Taubman is a licensed clinical psychologist who conducts research and provides treatment oversight, training and consultation services. He is the author or co-author of numerous scholarly articles and peer-reviewed research and policy documents concerning autism and educational programming for students with autism. He obtained his undergraduate education and post-doctoral training at University of California, Los Angeles, where he worked with Dr. Ole Ivar Lovaas, who is considered to be one of the progenitors of applied behavior analysis (ABA). ABA is a psychological and educational approach for addressing problems of observable human behavior that is analytical, applied and behavioral. Dr. Taubman has created social skills curriculum programs, which he trains schools to implement. Dr. Taubman’s credentials are extensive, and his demeanor on the witness stand was credible and thoughtful. District has engaged Dr. Taubman as a consultant for the past 15 years. 9. Dr. Taubman and Autism Partnership’s approach is called “contemporary ABA.” It was developed in reaction to criticisms that ABA had in practice become too rigid, rote, surface and mechanical. As described by Dr. Taubman, ABA as first developed by Dr. Lovaas provided procedures to impact and extinguish behaviors of people on the autism spectrum; at that time such behaviors had never been addressed before, and what was thought of as autism was more severe and self-injurious than what is encompassed in the autism spectrum today. The field has evolved over the past 30-40 years, and ABA has changed, and is now a wide field with many different strands. Some are “Skinnerian,” based on theoretical underpinnings of Dr. B.F. Skinner; these emphasize training and controlling behaviors. Others are looser, more flexible and relationship-based. Among these are models called “floor time” and “relationship development intervention.” Different philosophies underlie these approaches. The differences stem from what practitioners believe the deficits in autism spring out of. 10. His particular brand of ABA is, in Dr. Taubman’s words, “non-formulaic.” Although structured and research-based, it is intended to work flexibly, dynamically, and to constantly evolve. It is based upon the theory that the purpose of ABA is to foster social connections in a social world. Thus, underlying the competencies taught are not just the motions of appropriate behavior, but also the emotions behind reciprocal human relationships. 11. According to Dr. Taubman, this “contemporary ABA” methodology is research-based. The effectiveness of its more flexible approach, compared to more rigid, structured approaches to ABA, has been studied in the school setting. In his opinion, instruction and programming should be designed to build a student’s independent skills and should fade and diminish over time. This model uses instruction in a skill, for example, appropriate responses to the question “how are you;” then modeling how to ask or answer that question with peers; then presenting scenarios of when to ask, and debriefing the scenarios; then doing role plays and debriefing those. Then, according to contemporary ABA, the student should be taught gradually to generalize skills, for example how to respond to the different types of answers one sometimes gets to that question. Dr. Taubman’s model emphasizes building skill “muscles” and social awareness “muscles,” and gradually introducing challenges that may stretch or test the student’s abilities. Thus, this model envisions the gradual introduction of stress. This may occur gradually, with priming, then graduate to no priming, and then graduate further to higher and higher levels of frustration and, without priming the student, introducing more and more unpredictability. 12. Autism Partnership trained the Chaparral staff in the systematic teaching of skills, in ratcheting up from less provocative to more provocative antecedents, and starting teaching skills one-to-one or in small groups and then attempting to have Student utilize them in larger groups or in general education. 13. On February 10 and 11, 2011, Dr. Ann Simun assessed Student as part of a private neuropsychological assessment which Parents asked her to perform, to make recommendations for an appropriate therapeutic and educational program for Student. Neuropsychology is a specialization within the field of psychology that focuses on brain function and behavior. Dr. Simun is a clinical psychologist with a Master’s degree in school psychology and a doctorate in clinical psychology, specializing in neuropsychological and psycho-educational evaluations of children and teens, consultation and expert witness services. 14. Dr. Simun administered the following formal assessment instruments: Wechsler Intelligence Scale for Children, Fourth Edition (WISC-IV); Wechsler Preschool Primary Scales of Intelligence, Third Edition (WPPSI-3); Test of Nonverbal Intelligence, Third Edition (TONI-3); Children’s Category Test, Level One; Autism Diagnostic Observation Schedule (ADOS); Woodcock Johnson Achievement Test, Third Edition (WJAT-3); Gilliam Autism Rating Scale, Second Edition (GARS-2); Developmental Test of Visual Motor Perception, Second Edition (DTVP-); Developmental NEuroPSYchological Assessment, Second Edition (NEPSY-2); Individual Variables of Attention, Plus (IVA+); Gray Oral Reading Tests, Fourth Edition (GORT-); Adaptive Behavior Assessment System II (ABAS-2), parent and teacher versions; Achenbach Child Behavior Checklist (CBCL). 15. Her pertinent assessment findings were that Student’s cognitive skills were in the superior range. Based on certain subtests of the NEPSY-2, WISC-4 and the IVA+, as well as observations, Dr. Simun found Student demonstrated extreme problems with sustained attention. Dr. Simun assessed Student’s executive functioning with varying instruments, including the NEPSY-2 and WISC-4, certain subtests of which are relevant to executive functioning skills. Executive functioning is the ability to allocate mental resources, to plan, organize and self-monitor. She concluded that he had trouble doing more than one thing at a time, changing his response patterns, and exhibited perseveration, rigidity, inflexibility, and problems with transitions between tasks. In the academic arena, Student’s reading, writing and math skills were in the above average to superior range. He had at least average basic language skills, with a significant weakness in pragmatics. 16. On March 1, 2011, Dr. Simun observed Student at Chaparral as part of her neuropsychological assessment, both in the SDC and in general education settings. Student began acting “silly” by laughing and giggling and playing with objects, progressed to fidgeting and moving in his chair, then began throwing things on the floor, laughing in an uncontrolled manner, and ripping pages out of a book. He then left his seat and began grabbing other things in the room, grabbed a wooden yardstick and began striking the walls while yelling and ripping posters and children’s work off the walls with the yardstick. Student then attempted to hit an aide with the yardstick. No one intervened, and he remained swinging the wooden stick around while the adults tried to move out of his reach. Dr. Simun did not observe what she considered appropriate and consistent adult responses. No one intervened as Student escalated. The strategies suggested in Student’s BSP were not implemented. Ultimately one of the members of District’s behavior team arrived, and redirected Student to “tap” the wall instead of smash the wall, and eventually Student put the stick down. Then, he was rewarded for listening. He was given multiple rewards in very short order and eventually, in less than three minutes he “earned” a break outside. He was perfectly calm upon learning the break was earned. Following the break, he transitioned into general education with approximately 24 students. He followed the group directions and needed no special prompting. He was not disruptive and did not engage in any aggression and responded appropriately raising his hand and answering questions correctly. 17. Dr. Simun concluded that Student’s appropriate, non-disruptive and on task behaviors had been ignored by District staff; his BSP was not being followed; transitions were not warned; breaks were not provided unless Student was disruptive; a sensory diet was not employed as a preventative measure; and disruptive, aggressive, and off-task behaviors were seemingly rewarded with extra adult attention. She recommended to Parents that Student be removed from the program while a more appropriate program was devised. 18. On March 2, 2011, Mother revoked her consent to the placement in the behavior program. Student returned to general education full-time, with a one-to-one aide, on March 3, 2011. 19. At an IEP meeting held on March 15, 2011, the team noted Student’s behavioral challenges and performance in both the SDC and general education settings. Student continued to exhibit calling out/interrupting, hitting himself in the face, inappropriate touching of others, fidgeting, giggling and acting silly. His behavioral team reported having implemented a variety of behavioral strategies including modeling, redirection, encouraging and use of calming techniques such as deep breathing, tokens, breaks, and ignoring inappropriate behaviors. The behavioral team also reported instructing Student in social cues, body language, and verbal and nonverbal means of communication. In structured settings he demonstrated skills in these areas with 70-75% accuracy. Although making progress, his inconsistencies in attention and behavior were affecting his learning and his ability to develop peer relationships. He was working on interpretation of social cues in structured settings and was successful with prompting in the small group setting. Student’s interactions with peers in the SDC environment of the intensive behavioral program had been more successful than they had been when he was in general education. The special education teacher described Student as a pleasure to work with. She noted that he could access his learning, and had been making friends. Since returning to general education, his interactions with peers had been less successful. 20. The IEP team generated 11 proposed goals in the areas of vocational skills, social emotional functioning, self-care, communication, and math, and developed a new BSP. 21. District offered Student a placement for 62% of the day in general education, with pull-out social skills training in a separate SDC for one and a half hours each day; behavioral services of one hour per week, to teach the self-regulation skills proposed by the BSP; consultation by a behaviorist 30 minutes weekly with the other District staff; weekly speech and language; and monthly OT services. 22. Parents consented to the IEP for implementation purposes only, but did not agree that District’s offer constituted a free appropriate public education (FAPE). 23. 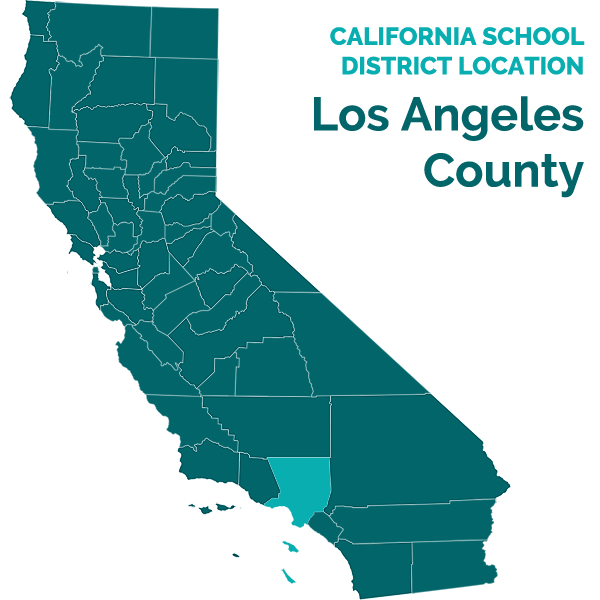 Parents removed Student from Chaparral and unilaterally placed him at the San Fernando Valley campus of Village Glen (VG), a NPS for students on the autism spectrum. VG utilized strategies and techniques, such as priming before and after transitions, use of visual schedules, reinforcement, a token economy system, and behavior support plans. VG maintained a clinical department with behaviorists on staff. VG had a social skills curriculum developed by its clinical director, Dr. Mary Bauman, which was set ahead of time for the entire upcoming year. Students attended a daily 30-minute class dedicated to social skills instruction. Social skills instruction was also embedded in the rest of the day, and reinforced. The entire school worked on one social skill per week (e.g. introducing oneself, initiating conversations, reciprocal conversations, initiating play time), and the program included a regimented sequence dictating which skill was being worked on at a time before moving on to the next. 24. VG offered individualized accommodations, for example a student could take a break whenever needed, grab a headphone, ask to take a walk, grab a graphic organizer, and get extra time to complete tasks. VG teachers received frequent training either from the VG clinical staff or outside consultants. 25. A number of different programs operated at VG, which varied depending on the functional ability and academic needs of the students. Student was placed in the “Core” program, which used standard state core curriculum at grade level. VG housed ten-20 classes from elementary to middle school with five-fourteen students per class, such that there might be about 100 students attending VG at any one time at the Valley campus. There were about six classes in the elementary school with five-fourteen students each, all of whom attended elementary school assemblies together. Students in the Core program interacted with students from other programs within Village Glen at school wide assemblies, field trips, snack breaks, recess, lunch and all other school wide activities. 26. The campus was secured and locked. There were no typically developing peers on the campus; access to typically developing peers was not a part of the VG program. 27. After the first couple of weeks there, when he continued to be disruptive, Student’s behaviors improved. VG did not provide Student with one-to-one behavioral assistance as this was not necessary for him in that placement. 28. Dr. Simun observed Student again on April 18, 2011, in his VG placement, where she noted his great improvement. At hearing, Dr. Simun opined that Student’s VG placement had almost immediately extinguished his more problematic behaviors, including violence, aggression and elopement. In her opinion, the change of setting, and management of antecedents, had made the difference; VG was using appropriate behavioral principles, reward systems, verbal and social praise and embedded accommodations. 29. Dr. Simun’s final assessment report, dated May 14, 2011, found the VG placement to be appropriate. She recommended a school program specialized for children with high functioning autism that used an integrated approach and individualized curriculum; appropriate stimulation for Student’s high cognitive and academic skills; and integrated accommodations for his cognitive, linguistic, social-emotional and OT needs. Her recommendations included a consistently-implemented sensory diet, a behavior plan with both token economy and social praise, and an integrated social skills program, with direct services and consultation in OT and LAS services. Student attended VG for the remainder of the 2010-2011 school year. 30. Student returned to VG for the 2011-2012 school year, when he was in second grade. His class, a Core class taught by teacher Pia Artesona, had ten students and two adults, Ms. Artesona and an aide. Ms. Artesona used a token economy system using stones as rewards, which were gathered in student’s cups and redeemed twice daily for rewards. She also used a color card classwide system where colors represented self-monitoring strategies, i.e. yellow for “slow down.” She also used stickers with which students could check and monitor their own emotional levels, by removing and replacing stickers on a board to represent, for example, that the student was too excited and needed a break. Ms. Artesona also primed or warned students prior to transitions, and utilized prompts and reminders to facilitate classroom behavior and interactions. 31. District and Autism Partnership assessed Student’s behavior in February and March, 2012, while he attended VG. The assessors were District school psychologist Andrea Brown and Dr. Taubman. During the assessors’ observations, Student engaged in mildly disruptive behaviors such as talking in silly voices, making sounds and noises, and making exaggerated reactions. During recess he interacted and played with peers, but engaged in parallel play rather than reciprocal interactions, or teased his peers. He was observed to be noncompliant to teacher instructions and appeared to be testing her, and made mildly defiant and provocative comments. He required prompting and redirection from the classroom aide to complete his work. Although he could follow classroom routines, he became disruptive during downtime. He transitioned with difficulty and some corrective feedback. Parents reported that Student had a good relationship with cousins and with one of his sisters. His behavior was no longer violent, aggressive or physical, and thus had improved considerably. 32. The assessment report recommended a proactive behavior program to gradually teach Student appropriate replacement behaviors, reactive programming to attempt to extinguish the problem behaviors, and skills instruction. The proactive behavior program was based upon teaching a skill in a relaxed environment, then gradually introducing stressors, with or without priming, to provide opportunities to use the skills in a naturalistic situation, then gradually ratcheting up the unpredictable stressors without priming. The report also recommended reactive programming, which would involve working with motivations and rewards to shape behaviors, and skills instruction. 33. During his observation at VG, Dr. Taubman concluded that Ms. Artesona’s guidance of Student did not foster independence sufficiently; that Ms. Artesona was repeatedly using prompts without fading to see if Student would perform independently. He concluded that her approach did not include any fading or diminishment of prompts, which resulted only in Student refraining from or doing a particular behavior performance without building independent skills. 34. Dr. Simun observed Student at his VG placement in the spring of 2012. Student exhibited no aggression or property destruction, and only some slightly disruptive off-task behavior. 35. In preparation for an IEP team meeting dated March 27, 2012, which was reconvened on May 4, 2012, District assessed Student in his VG setting in the areas of cognition, adaptive skills, academics, OT and speech and language. Cognitively, his scores were in the superior range. His self-help and adaptive skills allowed him to independently use classroom and school facilities, take care of his grooming, dress and eat appropriately, stand and walk in a line and transition appropriately. Academically he was at grade level in reading and math. He required accommodations in the area of writing, including graphic organizers. He benefitted from accommodations such as repeated directions, frequent breaks, visual schedules, prompting for self-monitoring of behavior, a token economy, adult and peer praise and recognition, small group instruction, and sensory breaks and a sensory diet that were in place within the VG classroom. 36. Socially, Student was generally well-behaved. He was making progress in taking turns, listening to others, interacting appropriately with peers, and generalizing social skills learned in class. He still had continuing behavioral challenges in the VG setting. Student continued to exhibit fidgeting, and acting provocatively and in a silly manner. He interacted positively with adults and peers although his social performance was inconsistent. A proposed BSP noted that Student was engaging in silly behaviors, making off-point comments and making faces at peers in order to initiate interactions. Due to his difficulty with social appropriateness and pragmatics, a structured learning environment appeared appropriate. 37. The IEP team generated 15 proposed goals in the areas of vocational skills, social emotional functioning, communication, and writing. 38. District members of the team discussed and proposed a placement for the upcoming 2012-2013 school year in District’s new Social Communication Program (SCP). 39. The SCP was developed during 2011, and was about to be operational during the 2012-2013 school year. It was to be housed at White Oak Elementary School (White Oak) and to be comprised of third, fourth and fifth graders. It was developed by Dr. Taubman and Autism Partnership in collaboration with school staff. It was designed to be a full-day program of special education instruction in an SDC setting, for students who were at or above grade level but who needed a full day of social communication programming. When and if students mastered the skills they were taught in the SDC, they would be given opportunities to practice in the general education setting, as and when able, with aide support. The program was to include one hour per day of social skills training, and then an individualized educational program for each student involving whatever degree of mainstreaming was considered individually appropriate. Elements of the programming were to include a cash out-board for which students got tokens for reaching goals and targets, i.e. a token economy; priming before transitions; and debriefing afterwards with aides and teachers. One teacher and at least two-to-three aides would be dedicated to the program. The aides would travel out to general education with the students on a two-to-one ratio, during mainstreaming, and would be responsible for implementation of student’s goals and BSP’s there, and to help the general education teachers implement each student’s individualized academic and behavioral program. The District envisioned that the program would be a systematic program for what would be done the entire day, such that in general education the aides would work with students on their social skills the entire day. The program included adult support on the playground, during recess and lunch, and during all unstructured times. District expected to include five-to-eight students in the program. 40. The SCP program would be implemented by special education teachers, aides, and the District’s behavior team, which was at that time comprised of seven employees designated as “instructional specialists,” and their two supervisors, designated as “behaviorists,” one of whom was school psychologist, Andrea Brown. The behavior team received training from Autism Partnership. The instructional pecialists were itinerant. Each was assigned to one or more school sites and had approximately 40 students on their caseload. The behavior team’s duties included taking data on behaviors; developing strategies such as calming techniques; and intentionally introducing stressor antecedents after priming the students to use the techniques and strategies they had been taught. Program Specialist Brandie Rosen supervised the behaviorists, and trained and supervised all District staff who worked with the SCP. 41. At hearing, Ms. Brown and Dr. Taubman acknowledged that the newly-designated SCP at White Oak, and the previously-implemented intensive behavioral program Student had attended at Chaparral in 2011, were similar. Each took place in an SDC setting with behavioral supports in general education and unstructured time. The differences were that in the Chaparral program, social skills instruction was once per week rather than daily, and the program was not designated as a full-day program. However, the programming elements were all similar, such as a social skills curriculum, trained aides, support across settings, and the systematic teaching of skills that ratcheted up from less provocative to more provocative antecedents. 42. Parents did not consent to the proposed SCP placement. At the May IEP meeting, the team agreed upon a continuation of the VG placement for the remainder of the 2011-2012 school year. 43. Student returned to VG in the 2012-2013 school year for third grade.3 His class, again a Core class taught by Pia Artesona, had approximately nine students. Ms. Artesona had two grades in this classroom, comprising third and fourth grade students. While Ms. Artesona worked with one grade, the students in the other grade would work either individually or with the assistance of the classroom aide. Ms. Artesona would then switch between the grades. Ms. Artesona continued to use a classwide token economy system using puffballs as rewards, which were gathered and redeemed daily for rewards. She also used a color card classwide system where colors represented self-monitoring strategies, i.e. yellow for “slow down.” Ms. Artesona also continued, as in the previous year, to prime or warn students prior to transitions. She utilized prompts and reminders to facilitate classroom behavior and interactions. Speech therapy was embedded in the program, and usually delivered in the context of a small group. OT strategies were utilized in the classroom, such as a chart with which students could identify whether they were feeling “too high,” “too low” or “just right”. There was a list of exercises students could use to self-regulate, such as push-ups and “crab walking.” Other available items in the classroom were headphones, a weighted vest, a weighted belt, and timers so students could take short self-timed breaks. VG did not provide Student with one-to-one behavioral assistance as this was not necessary for him in that placement. 3 Neither party offered evidence regarding whether the 2012-2013 school year placement at VG was a unilateral placement by Parents, or agreed to be District outside of an IEP. 44. The students in Ms. Artesona’s class moved as a group from her room to other locations for art, music and library, each of which was once weekly and taught by a separate teacher. Students also transitioned to different locations for school wide assemblies. During these transitions the students were accompanied by Ms. Artesona or an aide. Student had difficulty with transitions when he would act silly, not stay in line, and require redirection. 45. Dr. Simun observed Student in his VG placement in March 2013. As with her previous VG observations, she observed that VG provided clearly-displayed visual supports to Student, a token economy, a self-monitoring system, and differentiated instruction for Student. Transitions were primed and warned, there was a clear schedule, and class rules were posted. VG appeared to give Student only short tasks that did not require sustained attention, which was appropriate in her opinion. She also concluded that Student’s sensory needs were being met. The embedded behavior program provided Student with appropriate reinforcements. Dr. Simun considered the VG program appropriate to Student’s needs and to his difficulties with executive functioning, as addressed by a clear schedule, clear transitions, and short tasks. 46. Dr. Taubman conducted a behavioral assessment of Student in February 2013. Student was observed both in his regular VG classroom and in a computer lesson located in a different classroom, as well as in a small group reading lesson. Student consistently exhibited off-task behaviors and poor impulse control. Ms. Artesona prompted him and repeated instructions. Student required prompting and redirection from the classroom aide and the computer teacher to complete his work. He engaged in mildly disruptive behaviors such as talking in silly voices and talking to his neighbors. He made comments and blurted out during lessons. Student’s peer interactions had improved from the previous year. He interacted and played with peers, and engaged in more reciprocal interactions and less teasing and provocation than previously. Ms. Artesona reported that Student’s noncompliant or partially compliant behaviors, testing, silliness, blurting out, negative attention seeking and poor impulse control were all still present, but had somewhat improved from the previous year. 47. Parents reported to Dr. Taubman that Student’s behavior was somewhat improved. Although he still became upset when misunderstandings occurred, he was less angry. His emotional episodes were milder and less frequent than in the previous year. He still used profanity, although more mildly than in the past. His stories no longer took violent themes. He was interacting socially with his typically-developing cousins at family gatherings. He was showing caring and consideration for others. In general, all of his behavioral and social issues remained, but with some improvements. He took a karate class two-to-three times per week, as well as speech, music and art. 48. The assessment recommended a proactive behavior program to gradually teach Student appropriate replacement behaviors. As per Dr. Taubman’s previous year’s assessment recommendations, the proactive program would be based upon teaching a skill in a relaxed environment, then gradually introducing stressors, with or without priming, to provide opportunities to use skills in a naturalistic situation, then gradually ratcheting up the unpredictable stressors without priming. It also recommended reactive programming, that could involve the types of facilitation and guidance that Dr. Taubman saw at VG to attempt to extinguish the problem behaviors, and skills instruction. 49. As in the previous year, Dr. Taubman’s impressions of the VG program he observed in 2013 were that Ms. Artesona’s guidance, facilitation and assistance did not foster Student’s independence. He thought she was giving prompts that did not fade, used repeatedly to get Student to do or refrain from a particular behavior or performance. 50. District Instructional Specialist Jake Goodrich also conducted an informal behavioral observation of Student at VG in January or February 2013. Student was inconsistently compliant, and exhibited some resistance to being corrected and required some breaks and prompting. He exhibited some silly or provocative behaviors. Throughout instructional time, however, Student participated and raised his hand. During recess, Student engaged and played with peers. 51. School psychologist Christine Zahka assessed Student in January, February and March 2013. Ms. Zahka has a Masters’ degree from California State University, Los Angeles, and received her undergraduate degree in psychology from California State University, Northridge. She holds a Pupil Personnel credential in School Psychology. She has obtained training in behavioral interventions, and holds a certificate from California State University, Los Angeles in ABA, which permits her to perform FAA’s. She has been trained as a Behavior Intervention Case Manager though the Ventura County Office of Education. Her credentials and training qualified her to assess students in the autism spectrum, or those who have attentional challenges, and to perform cognitive testing, and to assess behavior and adaptive skills. She has performed approximately 400 assessments in her career. 52. Ms. Zahka conducted a review of Student educational records. She interviewed parents. She observed Student at VG on January 24, 2013, and February 27, 2013, and interviewed staff. Based upon her observations and findings, she concluded that Student was making progress but still required prompts; his silly behavior had improved but he continued to make inappropriate sounds and to crawl about the room during breaks; he squirmed and talked out of turn. Student was at grade level across subjects; he had scored Advanced on both the English Language Arts and Math portions of the second grade state assessment known as STAR testing. Ms. Artesona reported that although Student was at grade level across subjects he had difficulty in writing because he did not make use of prewriting strategies, leading him to become stuck without producing much written work. In the area of social skills, Ms. Zahka observed Student at recess sitting in a circle with five boys from his classroom, eating snacks, smiling and talking. 53. Ms. Zahka administered the Wechsler Intelligence Scale for Children- Fourth Edition (WISC-IV). The WISC-IV is an individually administered, standardized and norm-referenced instrument designed to assess intelligence. It contains 10 core subtests forming four Composites: Verbal Comprehension, Perceptual Reasoning, Working Memory, and Processing Speed. Student’s verbal reasoning abilities as measured by the Verbal Comprehension Index were in the 90th percentile, or High Average range. Student’s nonverbal reasoning abilities as measured by the Perceptual Reasoning Index (designed to measure nonverbal reasoning skills such as concept formation, visual perception, and visual-motor coordination) were in the 94th percentile or Superior Range. Student’s overall ability to sustain attention, concentrate and exert mental control (i.e. to attend to and hold information in short-term memory while performing operations or manipulations with it, and then to correctly produce the transformed information), as measured by the Working Memory Index were in the 75th percentile or within the High Average range. Student’s ability in processing simple or routine visual material as measured by the Processing Speed Index was in the 66th percentile, or Average range, indicating lower abilities in this area than in his nonverbal reasoning ability. Although there was variability among the index scores, Ms. Zahka did not consider the variability among the index scores to render an overall Full Scale score inappropriate. Student’s full scale IQ score was 120 or in the 91st percentile, within the Superior range in comparison to same-aged peers. 54. Ms. Zahka also administered the Wide Range Assessment of Memory and Learning-Second Edition (WRAML-2). The WRAML-2 is an individually administered test battery designed to assess memory ability. The test is comprised of six core subtests that yield three indexes: a Verbal Memory Index (the ability retain what one hears), a Visual Memory Index (the ability to retain what one sees), and an Attention/Concentration Index (the ability to hold and repeat information). Together they form the General Memory Index. Student’s General Memory score was within the Average range, but there was significant variability among the individual indexes, with verbal memory scoring highest in the 70th percentile, visual memory scoring in the 34th percentile, and attention/concentration index scoring lowest in the 21st percentile, indicating relative weakness in that arena. The variability suggested difficulty with maintaining sustained attention, which, in Ms. Zahka’s opinion could be addressed in the classroom with breaks, breaking down information into component parts, and checking with Student frequently to make sure he understood the material. 55. Ms. Zahka also assessed Student‟ self-help and adaptive skills through the Adaptive Behavior Evaluation Scales R-2 (ABES R-2) filled out by Ms. Artesona and by parents. Adaptive behavior is an individual’s performance of the day-to-day activities required for personal and social self-sufficiency. In the school setting, Student’s overall adaptive skills fell within the average range. In the home setting, Student’s self-sufficiency was average across domain areas, but Parents noted lower skills overall than had Ms. Artesona, with weakness in the subscale areas of Community Use and Self-Direction. Weakness in these areas reflected difficulty completing tasks in time provided. 56. Ms. Zahka also administered the Developmental Test of Visual-Motor Integration (DVMI) to assess the degree to which Student’s visual perception and eye-hand movements were coordinated. The VMI is a structured test that presents a series of geometric designs for the student to copy using a paper and pencil. Student performed within the Superior range. 57. Ms. Zahka also assessed Student’s social/emotional functioning by means of her observations and interviews, and by administering the Behavior Assessment System for Children, Second Ed (BASC-2) (a rating form filled out by parents and teacher), the Conners Third Edition (Conners-3) (completed by means of a Student self-report and Teacher and Parent forms), and the Gilliam Asperger’s Disorder Scale (GADS). 58. According to the responses on the BASC-2 rating scales, Student interrupted others when speaking, was overly active, and had poor self-control. Results on the Conners-3 rating scale, which further explored attention and behavior, were consistent with the BASC-2, showing elevated inattention and hyperactivity/impulsivity across settings. Neither rater endorsed learning problems, defiance or aggression. On the GADS, both Mother and teacher rated Student as inattentive to social stimuli, lacked subtlety in expression of emotion, became frustrated quickly when unsure what to do, used exceptionally precise speech, showed excellent memory, and attached very concrete meanings to words. In school, Student was unaware of or insensitive to the needs of others, demonstrated eccentric forms of behavior, and talked about a single subject excessively. 59. Ms. Zahka also administered to Student a “Sentence Completion” test, a “Draw-a-Person” test, and a “Three Wishes” test. On the sentence completion Student worked very slowly, displaying a perfectionist quality. While he moved through all tasks, he took extensive time. He stared at the paper for minutes before writing and in between, consistent with teacher reports of his difficulty beginning writing tasks. The answers he did provide to the Sentence Completion task were age-appropriate. 60. Ms. Zahka concluded that Student’s verbal reasoning skills fell within the high average range with superior perceptual reasoning skills. His verbal and visual memory fell within the average range. He continued to present as a friendly and active boy who enjoyed engaging peers and adults alike. Formal scales continued to reflect significant levels of inattention and hyperactivity across settings. He appeared to have developed a more perfectionistic quality than in years past, carefully considering all options before responding, not wanting to provide an incorrect answer. Student exhibited difficulties in social language, impacting reciprocal interactions. With regard to eligibility, he continued to meet special education eligibility under autistic-like behaviors due to continued qualitative deficits in the social/pragmatic language area as well as cognition patterns and social relationships. 61. At hearing, Dr. Simun opined that Ms. Zahka’s assessment was thorough, except Dr. Simun would have done more to assess executive functioning, and attention and social cognition deficits. She opined that when perseveration, rigidity and perfectionism are present, it might be appropriate to allocate fewer tasks to Student give him more time to finish one task, and more time to transition to the next. 62. Laila Wood,4 District special education teacher, assessed Student’s academic achievement. Ms. Wood served as the teacher of the SCP during the 2012-2013 and 2013-2014 school year. Her demeanor on the witness stand was firm, calm, intelligent and acute. She observed him in his VG placement and administered the Woodcock Johnson Test of Achievement, Third Edition, Form A (WJ 3-A). Her classroom observations were consistent with Ms. Zahka’s and Mr. Goodrich’s. Student exhibited noncompliant behaviors, and crawled across the room, but was able to be redirected with verbal prompts. 4 Ms. Wood is referred to by her maiden name throughout this Decision, rather than by her later married name Ms. Jaffari. She is referred to by both names in some of the documentary evidence presented at the hearing. 63. On the Broad Reading cluster, Student scored in the Superior range. On the Broad Math cluster, Student scored High Average. On the Broad Writing cluster, Student scored High Average. On certain of the subtests within these clusters, Student’s scores were only average or low average. For example, within the math cluster, Student scored average on both the Calculation subtest (measuring the ability to perform mathematical computations such as addition, subtraction, multiplication, division, and combinations of these basic operations) and the Math Fluency subtests (which measures the ability to solve simple addition, subtraction, and multiplication facts quickly). Within the writing cluster, Student scored low average on the writing fluency subtest (which measured skill in formulating and writing simple sentences quickly.). Ms. Wood identified this as an area of relative weakness for Student. In summary, Ms. Wood concluded that when compared to others at his age level, Student’s academic skills and his ability to apply those skills were both within the superior range. His fluency with academic tasks was within the average range. When compared to others at his age level, his standard scores were superior in broad reading, brief reading, and brief writing. His broad mathematics, brief mathematics, and broad written language scores were in the high average range. His standard scores were average (compared to age peers) in math calculation skills and written expression. 64. Thus, academically, he was meeting grade level standards across subject areas, reflected in average and above formal academic testing, consistent with previous assessments. The one exception was the writing fluency subtest, falling from high average to low average. 65. District Speech Language Pathologist Jil Yaldezian assessed Student in the area of speech and language on February 20 and 27, 2013. She is a licensed speech language pathologist in California and obtained her master’s degree in Communicative Disorders from California State University, Northridge. She has worked for District for four years and has previously worked as a speech language pathologist for other school districts, as well as in private practice, assessing numerous children on the autism spectrum. Ms. Yaldezian’s demeanor on the witness stand clearly demonstrated her passion and enthusiasm for her profession. 66. Ms. Yaldezian conducted a records review and administered the following formal instruments to Student: Peabody Picture Vocabulary Test, Fourth Edition (PPVT-4); Test of Language Development, Intermediate, Fourth Edition (TOLD-I:4); Test of Pragmatic Language, Second Edition (TOPL-2). She had Ms. Artesona complete the Pragmatics Profile scale of the Clinical Evaluation of Language Fundamentals, Fourth Edition (CELF-4) instrument. She also took a language sample. 67. The PPVT-4 measured receptive vocabulary development, or understanding of the single spoken word. Student scored in the above average range on this test when compared to peers his age. 68. The TOLD-I:4 measures children’s expressive and receptive competencies in the major components of linguistics, including semantic abilities, grammatical abilities, listening abilities, organizing abilities, and speaking abilities. Student’s overall test scores on this test were in the high average range. 69. The TOPL-2 evaluates the understanding and use of social language in a variety of different areas (e.g.—interpreting non-verbal means of communication; indirect/figurative language concepts; making inferences…etc.). Results placed Student in the average range. However, although Student scored within the average range on this test, he exhibited inconsistencies with the following pragmatic skills: attending to the physical context that shapes or directs social language, tailoring messages to different audiences, noticing the listener and communicating effectively, taking into consideration the listener’s point of view, repairing a breakdown of conversation, clarifying information, and persuading or negotiating in order to obtain a goal. In addition, Student had difficulty interpreting non-verbal cues and understanding abstract language. 70. The Pragmatics Profile of the CELF-2 is used to gain information about a child’s overall pragmatic development and any pragmatic deficits that may influence social and academic communication. This checklist was completed with information from his teacher, Ms. Artesona. Student ‘s score indicated below age expectancy for his communication abilities, including appropriate topics of conversation, relevant contributions to a topic during conversation, appropriate sense of humor, joining or leavings an ongoing communicative interaction appropriately, interacting appropriately in structured and unstructured activities, using appropriate strategies for getting attention, using appropriate strategies for responding to interruptions and interrupting others, asking for clarifying information, responding appropriately, reading and interpreting nonverbal communication skills. 71. Ms. Yaldezian observed Student on the playground during lunchtime. He was sitting on the black top with two-to-three peers and engaged in conversation with them. He exhibited good eye contact and asked questions. When it was time to line up, he listened to the aide and followed the rules without prompting. He presented as very typical. He exhibited no self-talking, no echolalia, no stereotypical or repetitive movements, and transitioned well from testing room out to yard and back to testing room. 72. Ms. Yaldezian concluded that Student attended to tasks and tried hard in the testing environment. On all tests measuring receptive and expressive language skills, he scored in the average range. During formal and informal testing and observation, he spoke slowly, taking extra time to process information and formulate his answers. He correctly answered questions, relayed past events and sequenced ideas. He did not initiate conversation, ask the examiner any follow up questions or comment on what she said during informal conversation. He initiated and maintained a conversation for three-to-four exchanges on the playground with his peers. She concluded that Student was emerging in his ability to understand and respond correctly to a variety of social situations, however, he still was not generalizing these skills into his every day communication. He still exhibited delays with higher level social skills: asking for/giving/responding to information, repairing a conversation, reading and interpreting nonverbal communication and understanding abstract language. He exhibited difficulties in the area of pragmatic/social language for his age. These difficulties impacted his ability to engage in reciprocal communicative exchanges/interactions with others, which will be essential for developing and maintaining meaningful relationships. 73. At hearing, Ms. Yaldezian opined that based on her review of past assessments compared with her assessments results, Student was making progress at his VG placement. However he still had challenges in the area of pragmatics or social language. 74. Occupational therapist Denise Grodzienski assessed Student on March 25, 2013. She is a licensed occupational therapist who has worked with District for over 14 years, prior to which she worked with California Children’s Services and in skilled nursing facilities performing a wide range of treatment and assessment for both the school aged and adult populations. She administered the Bruininks Oseretsky Test of Motor Proficiency- Second Edition (fine motor subtests); Wide Range Assessment of Visual Motor Abilities (VMA) Subtests for Visual Motor (Drawing) and Visual Spatial (Matching); Children’s Handwriting Evaluation System (CHES); Benbow Observation of Hand Skill; Motor Free Visual Perceptual Test -Third Edition (MFVPT-3); Sensory Profile; and conducted observations of Student in his VG setting, and consultation with Ms. Artesona Ms. Grodzienski’s credentials and demeanor on the stand established her longevity in her profession, extensive depth and breadth of experience, and the fact that she keeps herself educated on current developments in her field..
75. Ms. Grodzienski found that Student’s fine motor control (the ability to use the small muscles of the hand in a coordinated manner) was above average. Student’s fine motor integration (visual motor functioning in areas relevant to the school related tasks of copying, drawing, and handwriting) was in the Very Superior range. Student had all necessary skills required for school, including functional self-care skills, and demonstrated superior visual perception abilities. He was not displaying sensory issues such as needing more tactile, vestibular, visual, and/or auditory input than would be typical to access curriculum. 76. Student appeared to be doing well when she observed him at VG. He was well-regulated, well-organized; he had good fine motor skills and good visual processing. He paid attention to task, had a calm body, and was able to motor plan a task (specifically, making a paper airplane). He had good body control and good body awareness, and sat with good posture and stability. No sensory issues impeded his ability to access the curriculum. The occupational therapist at VG, with whom Ms. Grodzienski discussed her findings, agreed. Nevertheless, Ms. Grodzienski recommended OT consultation and collaboration with Student’s teachers. She felt Student would benefit from extra classroom movement, more frequent breaks, on-task reminders, a self-monitoring checklist, and preferential seating. 77. The IEP team met on April 9, 2013 for Students’ triennial IEP. Ms. Rosen, Dr. Taubman, Ms. Wood, Ms. Yaldezian, Ms. Brown, Mr. Goodrich, Ms. Grodzienski, Ms. Zahka, Parents, their advocate, Ms. Artesona, VG Principal Grace Ahn, District general education teacher Ms. Bornhofe and District’s counsel Mr. Parsons attended. 78. The team reviewed the psycho-educational, academic, LAS, OT and behavior assessments. They reviewed Student’s present levels of performance in reading, writing, math, motor abilities, cognitive functioning, communication, social-emotional-behavioral functioning, self-care and vocational-community access skills. The present levels were developed by District and VG staff in coordination with each other. 79. Consistent with the psycho-educational testing, in the area of cognitive ability, Student was reported to have scored high average in verbal reasoning, superior in perceptual reasoning, average in visual and auditory memory with average processing speed, and to have a full-scale WISC score in the superior range. Consistent with the academic testing, Student “s present levels in the areas of reading, writing and math skills showed skills at or above grade level. The only academic difficulty noted was in the area of writing, where Student had difficulty describing real or imagined experiences. Consistent with the LAS assessment, Student’s two present levels in the area of communication reflected that Student’s receptive and expressive language abilities were average, but he exhibited difficulties in pragmatics/social language for his age. He showed emerging skills in his ability to understand and respond appropriately to a variety of social situations, but was still not generalizing these skills into everyday communication. He exhibited delay with social skills such as asking for or responding to information, repairing communication breakdowns, reading and interpreting nonverbal communication and understanding abstract language. He could initiate and maintain conversation by making relevant comments and by asking thoughtful and appropriate questions. He demonstrated appropriate use of eye contact during conversations, but inconsistently demonstrated appropriate body orientation. His areas of need were in identifying the meaning of nonverbal cues and adjusting his behavior accordingly. He was still unable without prompting to infer the meaning of body language and gesture, and to make appropriate judgments regarding the mood or intentions of others based thereon. He struggled when asked to take another person’s perspective. 80. In the area of prevocational skills, Student was able to follow classroom routines with minimal prompting. Student showed improvement in his self-monitoring abilities but still required prompting to understand when he needed to slow down and check himself or ask for a break. 81. In the area of social emotional and behavioral functioning, Student’s present levels reflected that he was able to follow classroom rules, and participate in social skills classroom activities. He could respond to and answer questions related to topics of interest. He was improving in his ability to initiate and maintain a conversation with peers and adults over three-to-four turns. He was improving in initiating peer interactions across all settings. He was improving in being able to maintain eye contact and greet others appropriately. He had a good sense of humor and could identify figurative language and sarcasm. He was kind to others. He required prompting, however, to use appropriate words, voice and body space when interacting with others. Sometimes he required reminders and modeling in order to remain calm during unstructured activities. He engaged at times in inappropriate conversations such as using explicit language during unstructured activities. He required monitoring to stay on task. When motivated he could sit quietly and complete tasks, but would often become distracted and exhibit disruptive behavior including verbal outbursts, speaking off topic with peers, or exhibiting distracting body movements, during which times he required and responded to verbal prompting and redirection. 82. The team discussed 14 proposed goals in the areas of social-emotional functioning, communication, vocational skills and writing, all of which were based on Student’s present levels, addressed Student’s unique needs, were measurable and contained short-term objectives. Goal number one, in the area of social emotional functioning, proposed that in four out of five trials presented over a two-week period, Student would display knowledge of five different age appropriate topics, and would engage in a five minute conversation about the topic and include five different facts about the topic during the conversation, across school settings. The reason for the goal was to expand on Student’s ability to engage in conversations with peers. The short-term objectives for this goal sought to begin with one-to-one conversations in a small group setting, then expand to one-to-one conversations in a larger group setting such as the social communication classroom involving up to 13 other students, and finally to engage in one-to-one conversations across all school settings, such as in the general education environment during mainstreaming recess and lunch, across the campus. 83. Goal number two, in the area of social emotional functioning, proposed that in 80% of opportunities over a two- week period, Student would identify social perspective when interacting with peers in a large group setting, for example by being able to identify another person’s point of view, understand the topic of the conversation, wait for a break in the conversation, and stay on topic. The reason for the goal was that Student had met his previous goal of initiating conversations with peers, and appeared ready to identify the social perspective of others and join in a conversation. The short-term objectives for his goal sought to begin with interactions with peers in a small group setting, then expand to interactions in a larger group setting. 84. Goal number three, in the area of social emotional functioning, proposed that in 80% of opportunities for two weeks, Student would correctly assess subtle social cues such as facial expressions, body language, and body space, and would adjust his behavior accordingly, across school settings. The reason for the goal was that Student had difficulty picking up on the social cures of peers, and would often continue a conversation even when others were not listening. The short-terms objectives for this goal sought to begin with interactions in small structured setting, then expand to a small group setting, then into a larger group setting, and finally across all school settings. 85. Goal number four, in the area of social emotional functioning, proposed that in 80% of opportunities presented over a two-week period, Student would remain calm when faced with an anxiety provoking situation, i.e. by taking a breath, asking for a break, or complying, without displaying noncompliant behaviors in a classroom setting. The reason for the goal was that Student had difficulty utilizing appropriate coping strategies when presented with a frustrating or anxiety provoking situation. The short-terms objectives for this goal sought to begin with small group settings, and then expand to the classroom. According to Dr. Taubman, this goal was developed to help Student build replacement behaviors and alternative reactions to frustrating situations such as challenging or non-preferred tasks. 86. Goal number five, in the area of social emotional functioning, proposed that in 80% of opportunities presented over a two-week period, Student would appropriately gain the attention of adults, by raising hand or asking for help, when faced with a non-preferred or difficult academic task, without displaying interfering behaviors such as shouting out, making faces or getting out of his seat, in the classroom setting. The reason for the goal was that Student had previously met the goal in a small group structured setting, and appeared ready to expand the skill to a larger group setting. The short-terms objectives for this goal sought to begin with small group settings, and then expand to the classroom. 87. Goal number six, in the area of vocational skills, proposed that in 80% of opportunities presented over a two-week period, Student would comply with instructions to begin an academic task, without displaying interfering behaviors such as engaging in “silly talk,” refusing to work, or getting out of his seat, across school settings. The reason for the goal was that Student often refused to comply with initial instructions. The short-terms objectives for this goal sought to begin in classroom settings, and then expand across school settings. 88. Goal number seven, in the area of social emotional functioning, proposed that in 85% of opportunities presented over a two-week period, Student would transition appropriately without displaying behaviors such as silly faces or inappropriate language, across school settings. The reason for the goal was that Student often behaved inappropriately during transitions. The short-terms objectives for this goal sought to begin with classroom settings, then expand to all school settings. 89. Goal number eight, in the area of social emotional functioning, proposed that in four out of five opportunities presented over a two-week period, Student would use a self-evaluation sheet to monitor his appropriate and inappropriate behaviors, and would accept both positive and corrective feedback without argument, across school settings. The reason for the goal was that Student’s self-awareness had increased and he appeared ready to evaluate his own behaviors. The short-terms objectives for this goal sought to begin with a structured setting, move to small group, then to large group and then expand to all school settings. According to Dr. Taubman, this goal was designed to help Student take greater responsibility for his own behavior, the first step being to correctly identify it independently. 90. Goal number nine, in the area of vocational skills, proposed that in four out of five opportunities presented over a two-week period, Student would attend to a non-preferred academic task for 20 minutes without displaying inappropriate behaviors such as calling out, getting out of his seat or making silly faces. The reason for the goal was to expand on Student’s present level of completing independent work for 15 minutes. 91. Goal number 10, in the area of social emotional functioning, proposed that in four out of five opportunities, Student would exhibit consideration and caring through making caring statements (such as “are you okay?”) or offering aid, when others were experiencing frustration or distress, across school settings. The reason for the goal was that Student did not consistently respond appropriately to the distress of others. The short-terms objectives for this goal sought to begin with a small group setting, move to a large group and then expand to all school settings. According to Dr. Taubman, this goal was designed to help Student build on an emerging skill in showing consideration for others. 92. Goal number 11, in the area of writing, was the only proposed academic goal. It proposed that in three out of four opportunities, over a one month period, as measured by work samples, when given a graphic organizer or topic sentence, Student would develop a story or paragraph consisting of at least six-seven sentences. The reason for the goal was that Student had difficulty organizing his thoughts when writing a paragraph. 93. Goals number 12-14 were in the area of communication to be worked on by Student with a speech language pathologist, starting with short term objectives in a small group setting and advancing toward mastery in all school settings. Proposed goal number 12 proposed that Student should explain the meaning of figurative language such as idioms, metaphors, slang or jokes, in four out of five opportunities over the course of three out of four days. The reason for the goal was that according to formal test results and observations, Student could only identify and explain figurative language with 55% accuracy. Proposed goal number 13 in the area of pragmatic language, proposed that Student should identify and practice the skills of listening to one-to-two peers and asking appropriate questions about the conversational partners thoughts, in four out of five opportunities in three out of four days. The reason for the goal was that, according to formal testing results and observations, Student had difficulty asking about and responding to information. Proposed goal number 14 proposed that when interacting with peers, where there appeared to be confusion, disruption or interference in the conversation, Student would demonstrate “repair” skills (explaining what was intended, trying to say things a different way) in four out of five opportunities over a two week period, as measured by observation and data collection. According to Dr. Taubman, “repair” skills involve recognizing and attempting to remedy disruptive communications when they occur. These can be taught through role plays that increase in difficulty, starting with a slightly problematic breakdown in communication and moving on to more complex disruptions. 94. The IEP contained a proposed behavior support plan that targeted Student’s silliness, and his making of comments that did not have to do with the lesson, activity or conversation. District offered no explanation for why these were chosen as the target behavior, and Dr. Taubman acknowledged that Student had other more serious interfering behaviors such as attentional difficulties, partial compliance or non-compliance, being perfectionistic, and others; however he opined that the BSP as written, along with the IEP’s other goals, addressed all Student’s unique behavioral needs. The BSP suggested a plan for decreasing inappropriate behaviors by proactively teaching Student: how to initiate and maintain appropriate interactions; gain attention in appropriate ways; learn self-regulation skills such as deep breathing, closing eyes, counting to ten, applying hand pressure; using strategies such as a break card to signal the need to take a break; and by teaching the SCP social skills curriculum. 95. After discussing the present levels and goals, the team discussed the entire continuum of placement options, including general education with special education support, special education in a public school setting and NPS placement. All District witnesses, including Dr. Taubman, and Ms. Rosen, credibly attested to that fact; whereas Mother and the VG attendees were unable to recall any such discussion but did not categorically refute the discussion had occurred. District’s emphasis at the IEP, and the bulk of the discussion time, was on the SCP at White Oak. But placement in the NPS was discussed and considered, even if that discussion was not extensive. Parents were afforded the opportunity to participate, contribute, express their opinions and ask questions, and they did express their concern about Student returning to the general education environment. Neither party offered any evidence that established that District members had made a determination about their offer of FAPE, or that any of them had even discussed it amongst themselves, prior to the team meeting. To the contrary, Ms. Rosen, Ms. Wood, Ms. Yaldezian and Ms. Grodzienski all credibly attested that they came to the meeting with open minds, and that more restrictive placements than the SCP are appropriate for some students depending on their needs. 96. District offered continued placement at VG for the remainder of the 2012-2013 school year and extended school year. 97. For the 2013-2014 school year, Student’s fourth grade, District offered placement in the SCP with specialized academic instruction for social skills, language arts, math, social studies, library, computer and physical education, or about five hours out of a generally six and a half hour school day. Student would be mainstreamed into general education for science, art, music, lunch and recess; he would receive aide support, at a ratio of two students to one aide, for about one and one half hours on average each day. Since science, art and music did not occur every day, he would be mainstreamed only for lunch and recess on the days those classes did not occur, which amounted to approximately 17% of his time in the general education environment. 98. At the time the offer was made, the SCP was in its first year of operation. The offer was for the following year, which would be its second operational year. District anticipated three-to-six students would be attending the SCP during the academic portions of the day, and seven-eleven children during the social communication training portion of the day. 99. District offered the following accommodations: warning before transitions; use of a self-evaluation sheet; frequent breaks; a visual schedule; and use of a token economy. 100. District also offered related services, including: OT services 30 minutes consultation monthly; LAS 30 minutes weekly small group services and 60 minutes monthly of consultation and collaboration; behavioral services by Jake Goodrich or another District Instructional Specialist on the District behavior team working with Student on social skills training for 90 minutes per week; 30 minutes of consultation services between the District behavior team, aides and teachers; two hours supervision by Andrea Brown; and an additional two monthly hours of supervision by Autism Partnership. 101. In addition, District offered extra behavioral support for Student’s initial transition back into District, consisting of four weekly hours from Autism Partnership and one-to-one aide support for the first two weeks of Student’s return. For the third through eighth weeks after Student returned, District offered gradually fading daily one-to-one aide hours, plus six weekly hours from Autism Partnership. 102. At hearing, District witnesses Dr. Taubman, Ms. Wood, Ms. Yaldezian and Ms. Grodzienski all opined that the goals were appropriate and could be addressed in the SCP, and that the offer was appropriate for Student in light of the skills shown by his assessments and his present levels. In Dr. Taubman’s opinion, the SCP offered more opportunities for Student, as compared with the VG model with its more structured, controlled and containing methodologies). He also opined that the SCP offered more options in the arrangements it could create to control maladaptive behaviors while also recognizing that the goal should be for the assistance to fade, and for the growth ultimately to be within Student in the face of more realistic and natural circumstances. In other words, the SCP was intended to permit a continuum of environments, where, based on Student’s progress, the program could either “pull things back” if not working or “expand” if successful. 103. Ms. Grodzienski consulted and collaborated with teachers; monitored students, observed them in their placements, discussed them with teachers, made suggestions for different strategies and tools that might be employed, and then monitored their progress. Examples of possible sensory strategies and tools that could be employed were sensory activities to provide tactile, proprioceptive or vestibular input. For example before or after a task, Student could do push-ups on the back of a chair; or sit on a therapy ball or an air cushion; or could apply pressure on pressure points on his hands, or use fidget toys or squishy balls, or do stretching exercises. As a consultant to the SCP, Ms. Grodzienski observed that class weekly to observe and collaborate with the teacher and aides, offer such ideas and strategies, and to monitor their use. The offer of OT services was consistent with her assessment recommendations and was in her opinion appropriate to meet Student’s needs. 104. Ms. Yaldezian delivered speech services to students through push-in to the SDC and also by pulling student out to her speech room, working with peers in small groups, and then moving into larger groups and/or into mainstreaming if a particular student’s goals so stated. Ms. Yaldezian taught a pragmatics lesson one hour per week to the SCP, and consulted and collaborated with Ms. Wood and the behavior team. An example of a pragmatics lesson might consist of dividing the class into two or three small groups, showing a video about “trading information” versus “being a conversation hog,” pointing out the body-language of the person listening to the “conversation hog,” and asking the class how they think the listener was feeling. Then she might break students up into role plays, where one played a “conversation hog” and the other played the listener. Or, she might focus on age-appropriate topics with students in the SCP, as per Student’s proposed goal number one, such as sports or popular culture, and work on introducing that vocabulary. For Student’s proposed goal number two (social perspective of other), she would practice staying on topic, or would show photos of groups and ask students to discuss what they thought the people in the photos were feeling. For Student’s proposed goal number three (social cues), Ms. Yaldezian might play a game of hiding a marble, and then trying to discern who has it by looking at their body language. The offer of speech services was consistent with her assessment recommendations and was in her opinion appropriate to meet Student’s needs. 105. The 90 minutes weekly direct behavioral services, 30 minutes consultation, two hours District supervision and two monthly hours supervision by Autism Partnership, and the additional transition support hours offered, were intended to be a flexible collaborative effort between Mr. Goodrich, the aides and teacher, in order to get Student’s program started, keep the program going, check in periodically with teachers and staff and with student and makes tweaks as necessary The 90 minutes direct service might be delivered one-to-one or in a group. Since Mr. Goodrich was one of the itinerant instructional specialists on District’s behavior team, and worked only two days each week, it would occur whenever he was on site, and might be delivered in a 90 minute block or broken up. The exact nature of the consultation and supervision and transition services was also not defined, and would be developed on a case-by-case basis. All these hours could be direct one-to-one services with Student, small group services, or training, consultation and curriculum development provided not directly to Student but to District staff. 106. Dr. Simun observed the SCP in the Spring of 2013, at or around the time of the IEP. As with all her previous observations except those memorialized in her 2011 assessment report, no writing memorialized the observation. She observed no formal structure to facilitate peer interaction. Some children were working alone. She observed the social skills instruction with three grade levels and approximately 12-13 students separated into small groups. The lesson was primarily lecture, with students following along with worksheets. She observed recess. It had no facilitated interaction or observable structure. She observed a general education science class with 35 students. She felt the unstructured recess and large general education class were both inappropriate for Student, based on what she knew of him from her prior assessment in 2011. Because she did no formal reassessment of Student since 2011, her opinion of his current needs and functioning in 2013 was based on her review of District’s recent assessments, her un-memorialized observations and her 2011 assessments. 107. For the 2013-2014 school year, Student attended fourth grade at VG. He moved into a program called the Pace program for students with accelerated academic skills. His teacher was Laura Kovacs. The Pace program for the 2013-2014 school year comprised fourth through sixth graders and had nine students, one teacher and one aide, who was a temporary substitute and who would be replaced when the permanent aide returned. Ms. Kovacs rotated through the academic instruction for the three different grade levels, all working on different assignments. While she worked with one grade the others worked with the aide, or alone. Throughout the day, Students who needed additional work either got push-in support, or left the classroom for a block of “remediation time.” The class migrated as a group to art, music, computer and PE which were all taught by different teachers in different rooms. 109. Dr. Taubman and Ms. Rosen observed Student in the VG program in September. Dr. Taubman considered it was one of the better observations of Student, in terms of behaviors. Student displayed some silly behavior and some partial compliance, but overall his compliance and behavior were good. Ms. Rosen felt he was attentive to redirection and behaved well overall despite some silliness. However, she felt there was not much peer interaction, and many missed opportunities for initiation of social interaction. 110. During the 2013-2014 school year, the SCP was in its second operational year at White Oak. There were approximately 300-400 students at White Oak. In the fourth and fifth grades were approximately 150 students. There were two fourth grade general education classes with about 30-32 students in each class. There were three fifth grade general education classes, also with about 30 students each. All fourth and fifth graders went to lunch and recess at the same time. The SCP had two third graders, four fourth graders and five fifth graders. It was housed in a bungalow. General education science, art and music classes were in another building next door. One hour a day in the SCP was direct social skills instruction with all SCP students, using direct lecture, small groups and role plays. The rest of the day, Ms. Wood taught at grade level but with individualized instruction. For one example, her fifth graders were reading stories on “nature’s fury,” but higher achievers were given a natural disaster to research and write a paper about. The cognitive and social functioning of the SCP attendants were similar to Student’s, in Ms. Wood’s opinion. All her students mainstreamed into general education. If they were unsuccessful there, she and the behavioral team worked on debriefing and priming the student, or might modify their mainstreaming schedule. 111. During the 2013-2014 school year in the SCP, social skills were embedded in the day through Ms. Wood’s priming students before and after events or frustrating tasks; students might also be on self-monitoring systems; the self-monitoring sheets were part of the token economy and were cashed out for rewards. As part of the social skills training, Ms. Wood taught an emotional vocabulary, using words such as “frustrated,” “checked-in,” and “checked-out.” She also taught skills in “blending in.” She employed sensory strategies such as fidget toys, silicone balls, and Velcro on desks. There was a “calm area” in the SDC classroom with pillows where students could take breaks or walks. She led class discussions about skills to calm the body, self-assess how the body felt, and learn self-regulation skills. Part of the social skills curriculum taught topics of interest like sports or popular culture. Ms. Wood considered that OT strategies can be expanded and embedded in her room, i.e. gross motor skills breaks for sports or games could be accommodated. Given her students’ varying scheduled, she posted the schedule of each student up on the wall to remind them of when they would be mainstreaming. Also up on the board were class rules, school rules, and other visual aids. 112. Dr. Simun observed the SCP in October 2013. Dr. Taubman accompanied her and almost immediately took over the social skills instruction from Ms. Wood, such that Dr. Simun did not see how the class would have actually unfolded in his absence. 113. The IEP team met again on October 10, 2013. Ms. Rosen, Ms. Zahka, Parents, their advocate, VG Principal Melisa King, VG teacher Laura Kovacs, Ms. Grodzienski, Ms. Wood, Mr. Goodrich, Ms. Brown, and a District general education teacher attended. District did not modify its offer of FAPE from what had been offered in April. 114. Parents obtained an independent occupational therapy assessment from Dr. Sophia Lin Magana in October 2013, which they did not share with the IEP team. Ms. Magana interviewed Mother and VG personnel; observed Student in clinic and at his VG setting; and administered formal instruments to tests Student’s motor proficiency, visual motor perception and motor coordination. Overall, Student displayed average skills and was able to follow the school and class routine very well, work independently on his assignments with some verbal prompts, actively participate in the class discussion including answering questions appropriately, transition between all tasks, and maintain an overall good level of alertness to attend and complete school tasks. It appeared that the primary concern in his school environment was related to sustaining focus, and reliance on redirection. Ms. Magana recommended that he continue to receive school-based OT services as a push-in service to teach strategies to address sensory needs. She acknowledged that with the right supports, Student could attend general education, and that his OT needs could be met there. 115. Mother felt that Student improved greatly almost immediately upon entering VG, when compared to his prior disruptive behavior while at Chaparral. She no longer had problems getting him to school. He began to like school and to talk about it at home. He made friends at VG immediately. His behaviors at home improved and he was not as anxious or stressed, and more compliant with doing homework. Over the last two years his behavior improved so much that he was no longer destructive or aggressive, and did not engage in inappropriate touching of students or staff at VG. Student’s use of foul language was reduced. Student still had tantrums and became very angry when criticized or offered any advice. He was a perfectionist about his work and became very upset when he was not right. VG accommodated these tendencies by giving him extra time, and fewer problems to work on. He made friends at VG, where he had reciprocal relationships and many play dates In the family, in extended family gatherings, the family was very nice to Student, tolerant and protective. He continued to escalate but parents always intervenes immediately. Although he got along with his cousins, those interactions were highly facilitated by adults, and there were still many tantrums and meltdowns, especially in the event of a miscommunication of some kind. He continued to tantrum at home about once a day, usually around time to do homework, when he exhibited crying and refusal. Student had no typically-developing friends, and no friends in the neighborhood. Mother and Student have been ostracized in the neighborhood by mothers and their children, following Student’s experience at Chaparral. Student attended karate class with typical peers but was not friends with them and interacted only with the teacher. 116. Mother is fearful that Student is not ready to make the transition back into a general education environment and fears that his prior behaviors may reemerge. Although he has thrived at VG, he has not been called upon to exhibit social skills with typical peers. Student is shy and does not engage with strangers. 5 Unless otherwise indicated, the legal citations in the introduction are incorporated by reference into the analysis of each issue decided below. 6 All citations to the Code of Federal Regulations are to the 2006 edition. 5. In Issue 2, Student contends that District’s psycho-educational assessment and academic assessment performed in the Spring of 2013 were inappropriate and resulted in a denial of FAPE. Student’s contends that the psychoeducational testing did not sufficiently explore Student’s deficits in processing or attention disorders, or in executive functioning. Student’s arguments with respect to the academic assessment revolved around the fact that certain math subtest scores were not identified as weaknesses requiring academic intervention. District contends, both in response, and in Issue 4, that the assessments were appropriate such that Student is not entitled to IEE’s in these areas of need. 10. Here, Student did not meet his burden of demonstrating he was denied a FAPE on this ground, whereas, District demonstrated that its assessments were appropriate. Ms. Zahka’s psychoeducational assessment and Ms. Wood’s academic assessment used a wide variety of assessment tools and strategies, including numerous formal instruments as well as interviews and observations, to gather relevant functional, developmental, and academic information, and did not rely on any single measure or assessment. The formal assessment instruments they used were technically sound, and demonstrated the effect that cognitive, behavioral, and developmental factors had on Student’s functioning. They assessed Student in all areas of his special education and related service needs, including language function, general intelligence, academic performance, communicative status, self-help, vocational abilities, and social and emotional status. They Ms. Wood and Ms. Zahka were knowledgeable about Student’s disability and were well-qualified and competent to perform the assessments. Since the assessors used a wide variety of tools; gathered relevant functional, developmental, and academic information; did not rely on any single measure or assessment; were thorough and comprehensive; utilized technically sound testing instruments; were conducted by individuals who were knowledgeable and competent, they were legally compliant in all respects. Student’s argument with respect to Ms. Wood’s academic assessment was that in the math cluster on the WJ III, Student’s subtest scores in calculation and math fluency were only average, rather than superior or high average, and thus were arguably weak considering Student’s high cognitive levels, but that Ms. Wood did not identify these as areas of weakness requiring academic intervention. Given the fact that his present levels, as generated by VG staff including his teacher Ms. Artesona, indicated math skills at or above grade area and no needs in that area, Student’s contention is not meritorious. The academic assessment appropriately identified writing as Student’s sole area of academic need, based on his low average scores in the writing cluster subtest scores, consistent with Ms. Artesona’s observations of his needs in that area. The resultant IEP generated an appropriate goal in writing. Thus the academic assessment was appropriate and did not result in a denial of FAPE. 11. Student’s contentions with regard to the psychoeducational testing was that it did not sufficiently explore Student’s deficits in processing or attention disorders, or in executive functioning, defined as the ability to allocate mental resources, plan, organize and self-monitor. These contentions are also not borne out by the evidence. Ms. Zahka, by means of numerous instruments including the WRAML-2, the ABES R-2, the BASC-2, the Conners-3 and the GADS, identified Student’s difficulties with sustained attention; weakness in completing tasks in a timely fashion; over-activity; poor self-control; elevated inattention; hyperactivity; and impulsivity as areas of need. The resulting IEP sufficiently addressed Student’s attentional and planning deficits by allocating fewer tasks to Student, giving him more time to finish tasks, and more time to transition from one task to the next. Each of these recommendations was included within the offer of the SCP placement, which encompassed priming students before and after events or frustrating tasks, self-monitoring systems, a token economy, teaching of emotional vocabulary, use of sensory strategies, calming skills, self-assessment and self-regulation skills, visual schedules and other visual aids, warning before transitions, and frequent breaks. Thus, the psychoeducational assessment was appropriate and did not result in a denial of FAPE. District met its burden on Issue 4, whereas Student did not meet his burden of proof on Issue 2. 12. In Issue 1, Student contends that District deprived Student’s parents of participation in the April and October 2013 IEP meetings by failing to take into consideration Parents’ concerns and by predetermining that it would not offer Student placement at VG. 15. Here, the evidence did not support a finding of deprivation of parental participation. Parents attended the April and October 2013 IEP meetings with their advocate. Parents were afforded the opportunity to participate, contribute, express their opinions and ask questions, and they did express their concern about Student returning to the general education environment. No evidence was presented tending to establish that District members had made a determination about their offer of FAPE prior to the team meeting, or even discussed it. The preponderance of the evidence established that, after discussing the present levels and goals, the team discussed the entire continuum of placement options, including general education with special education support, special education in a public school setting and NPS placement. District’s emphasis, and the bulk of the discussion time, was on the SCP at White Oak. But placement at VG was discussed, even if that discussion was not extensive, and District members credibly attested at hearing to their willingness to consider all options. Other than the existence of the SCP program, and District’s clear enthusiasm for it, Student offered no evidence that District had made its determination prior to the IEP meeting, presented only one placement option, or was unwilling to consider other alternatives. The existence of the SCP program and District’s belief in its efficacy is insufficient evidence that, in this matter, District had already made up its mind. Student was not denied a FAPE on these grounds. 16. District contends in Issue 5 that its IEP offer of April 9, 2013, and the addendum offer of October 10, 2013, offered Student a FAPE in the LRE, including all necessary IEP components and services and supports. In Issues 3(a) and (b), Student contends District’s offer denied him a FAPE because the BSP was inappropriate and because the placement offered did not adequately address Student’s needs in the areas of academics, cognition, behavior, social skills, language and communication, and sensory processing. Because resolution of District’s Issue requires an analysis of the IEP offer as a whole, these issues will be addressed together. 22. Here, in developing the April 9, 2013, IEP, the District complied with the procedural requirements of IDEA and California law. Parents were provided with notice and an opportunity to participate in the development of Student’s IEP. As addressed in Issues 1(a) and 1(b)above, Parents participated in and assisted with the development of Student’s present levels, goals, educational program, related services and discussion of the continuum of placement options. The IEP team, comprised of the necessary participants, developed an IEP which comported with the procedural requirements of IDEA and California law including a statement of present levels, goals, education program, services, and which delineated Student’s level of interaction with non-disabled peers. The IEP at issue was procedurally appropriate. 26. The Ninth Circuit follows a four-part test on the question of whether a placement is in the LRE. The four factors are: (1) the educational benefits of placement full-time in a regular class; (2) the non-academic benefits of such placement; (3) the effect the child will have on the teacher and children in the regular class; and 4) the costs of mainstreaming the student. (Sacramento City Unified School Dist. v. Rachel H. (9th Cir. 1994) 14 F.3d 1398, 1404 (Rachel H.) [adopting factors identified in Daniel R.R. v. State Board of Ed. (5th Cir. 1989) 874 F.2d 1036, 1048-1050]; see also Clyde K. v. Puyallup School Dist. No. 3 (9th Cir. 1994) 35 F.3d 1396, 1401-1402 [applying Rachel H. factors to determine that self-contained placement outside of a general education environment was the LRE for an aggressive and disruptive student with attention deficit hyperactivity disorder and Tourette’s Syndrome].) Whether education in the regular classroom, with supplemental aids and services, can be achieved satisfactorily is an individualized, fact-specific inquiry. (Daniel R.R. v. State Bd. of Educ., supra, 874 F.2d at p. 1048.) If it is determined that a child cannot be educated in a general education environment, then the LRE analysis requires determining whether the child has been mainstreamed to the maximum extent that is appropriate in light of the continuum of program options (id. at p. 1050). 29. Here, District met its burden of proving that its offer of placement was appropriate and the LRE. Student has concomitantly failed to meet his burden of proving that the offered placement was inappropriate. 30. As an initial matter, neither party contended that full time placement in general education for Student would have been appropriate. In determining whether a child should be placed in general education, four factors must be considered: (1) the educational benefits of placement full-time in a regular class; (2) the non-academic benefits of such placement; (3) the effect Student had on the teacher and children in the regular class; and (4) the costs of mainstreaming Student. Student had social and behavioral challenges that required an embedded social skills curriculum and some level of behavioral supports, such that placement full time in general education would not have permitted him to attain either academic or non-academic benefits. The last time general education placement had been attempted in the spring of 2011, his interactions with peers deteriorated and his behavioral challenges increased; and his assessments, present levels and goals all established that he continued to experience social and pragmatic language challenges. Because a full time general education placement was not appropriate for Student, the focus must be on the continuum of placement options and the degree of mainstreaming, if any, that was appropriate for Student. 31. At the time of District’s offer, Student was at grade level academically, had challenges with off-task behaviors, poor impulse control and noncompliant behaviors. He benefitted from a token economy system, self-monitoring strategies, prompts, redirection and reminders, speech therapy embedded in his educational program, and OT strategies such as visual aids, exercises and breaks. He responded to reactive programming involving facilitation and guidance to extinguish the problem behaviors, and social skills instruction. He was able to follow classroom rules, and participate in classroom activities. He was improving in his ability to initiate and maintain a conversation with peers and adults; was improving in initiating peer interactions across all settings; and was improving in being able to maintain eye contact and greet others appropriately. Student’s assessments, and his IEP present levels and goals, established that he was exhibiting emerging skills in identifying the social perspective of others and in his own self-awareness. He showed emerging skills in his ability to understand and respond appropriately to a variety of social situations, but was still not generalizing these skills into everyday communication. 32. At the time of the IEP team meetings at issue, Student’s present levels had been determined from observing him in a more restrictive environment without any exposure to typical peers, but he exhibited capacities and abilities that would enable him to attempt exposure to a less restrictive environment. Student’s proposed IEP goals addressed his social emotional functioning, and expressly required practicing his social skills in different settings, including one-to-one conversations, small and larger groups, and all school settings, such as in the general education environment during mainstreaming. The goals were appropriate and could be addressed in the SCP. The SCP offered specialized academic instruction at grade level, and mainstreaming into general education with aide support. There would an appropriately small class of up to 11 students attending the SCP and the social skills instruction. The cognitive and social functioning of the SCP attendants would be similar to Student’s. Social skills were embedded in the day and included accommodations such as priming, self-monitoring systems, a token economy, and warning before transitions. The SCP offered options in the arrangements it could create to control maladaptive behaviors, while also allowing assistance to fade, and growth to be established within Student in realistic and natural circumstances. At hearing, Dr. Taubman, Ms. Wood, Ms. Yaldezian and Ms. Grodzienski all credibly opined that and that the offer was appropriate for Student in light of the skills shown by his assessments and his present levels. 33. The SCP permitted a continuum of environments, where, based on Student’s progress, the program could either pull things back if not working or expand if successful. The District’s offer of the SCP was flexible enough to tamp back on his challenges and contain his environment, while also allowing for maximum and increasing exposure to typical peers. If Student were unsuccessful in general education mainstreaming, District staff and behavioral team would work on debriefing and priming or might modify their mainstreaming schedule. 34. The methodology developed by Autism Partnership, and selected by District for the SCP, was reasonable, and based on peer-reviewed research. It involved exposing Student to challenging situations, ones that are intentionally designed to test his limits and that therefore involve the inherent risk he may fail; but it also involved the flexibility to decrease the challenges if unsuccessful. The demeanor on the witness stand of the District personnel who were actually scheduled to work with Student, Dr. Taubman, Ms. Wood, Ms. Yaldezian and Ms. Grodzienski, was thoughtful and enthusiastic, and established their competencies to tailor the program to Student’s needs. To have offered a FAPE, the District’s offered placement must have been appropriate to meet the child’s needs and the LRE to the maximum extent that is appropriate in light of the continuum of program options. Here, District met its burden of showing that the SCP was appropriate within the meaning of Rowley and was the LRE, in that it provided maximum exposure to typical peers, while meeting all of Student’s unique needs. Conversely, the evidence did not support Student’s contention that the SCP was inappropriate, particularly where Student focused more on inviting a comparison of VG with District’s offer, rather than directly demonstrating that the District’s offer was not reasonably calculated to meet Student’s needs. 35. Student has failed to establish that his negative experience in the intensive behavioral program at Chaparral in 2011 was predictive of either how the SCP was implemented in April and October 2013, nor that his own capacities were the same then as now. He failed to establish that to obtain educational benefit, he required a more structured, controlled and containing environment than the IEP offered him. Dr. Magana did not establish any such need. Dr. Simun did not reassess Student in 2013, and thus relied solely on her 2011 assessment, her later observations and District’s 2013 assessments, to justify her conclusions that VG was essential then and now; but based upon Student’s present levels, and the thoughtful and credible views of Dr. Taubman, Ms. Wood. Ms. Yaldezian and Ms. Grodzienski, it does not appear that Student’s 2011 experience can or should be extrapolated into the present. 36. Thus, District met its burden of proof that it offered Student a placement in the IEP at issue that was FAPE in the LRE. In contrast, Student failed to demonstrate that the placement was not reasonably calculated to offer him a FAPE at the time of the offer. 37. For District to prevail on Issue 5, it must also demonstrate that the related services and accommodations it offered were sufficient to confer some educational benefit within the meaning of Rowley. In Issue 3(a), Student raises a subset of this issue, contending that the behavior services and BSP offered by District were not sufficient, such that District’s offer was not a FAPE. This section addresses whether all of the services and accommodations in the disputed IEP, including behavior and BSP, offered Student a FAPE. 39. Behavioral interventions should be designed to provide the student with access to a variety of settings and to ensure the student’s right to placement in the least restrictive educational environment. (Ibid.) If a student’s behavior impedes learning, but does not constitute a serious behavior problem, the IEP team must consider behavior interventions as defined by California law. An IEP that does not appropriately address behavior that impedes a child’s learning denies a student a FAPE. (Park v. Anaheim Union High School Dist. (9th Cir. 2006) 444 F.3d 1149; Neosho R-V School Dist. v. Clark (8th Cir. 2003) 315 F.3d 1022, 1028. “Behavior Support Plan” (BSP) is not a term that is defined by law or regulation. 40. First, turning to Student’s contention that the behavior services and BSP were inadequate, Student did not meet his burden of proof, whereas District met its burden. It is true that the BSP developed for the April 2013 IEP only targeted Student’s silliness, and his making of comments that did not have to do with the lesson, activity or conversation, even though Dr. Taubman’s February 2013 behavior assessments and Ms. Zahka’s psychoeducational assessment identified other problematic behaviors. These included off-task behaviors; poor impulse control; talking to his neighbors; making comments and blurting out during lessons; exhibiting frustration; and eccentric forms of behavior. District offered no explanation for why these were not chosen as target behaviors in the BSP. However, neither the IDEA nor its enabling regulations specify legally required content for a BSP. Therefore, Student failed to demonstrate that District procedurally violated the IDEA by its failure to document Student’s problematic behaviors in the amount of detail Student contended it should have. Even if the BSP targeted only one of Student’s problematic behaviors, the rest of the IEP, when read as a whole, extensively targeted the others. Thus, Student’s present levels identified that he required reminders and modeling in order to remain calm during unstructured activities; engaged in inappropriate conversations; used explicit language; required monitoring to stay on task; became distracted and exhibited disruptive behavior including verbal outbursts, spoke off topic with peers, and exhibited distracting body movements. All of these areas were addressed by the services offered by District. 41. Further, the IEP included behavior goals that, when read in conjunction with the BSP, addressed Student’s unique needs in the area of behavior. Goal four targeted staying calm; goal five targeted gaining adult attention appropriately without shouting out, making faces or getting out of his seat; goal six targeted compliance with instructions without displaying interfering behaviors such as engaging in “silly talk,” refusing to work, or getting out of his seat; goal seven targeted appropriate transitions; goal nine targeted doing non-preferred academic tasks without displaying inappropriate behaviors such as calling out, getting out of his seat or making silly faces. Thus, where the IEP as a whole addressed Student’s behaviors, District did not deny Student a FAPE by not listing them separately in a BSP. Most importantly, the actual offer of placement and services was reasonably calculated to address Student’s behavioral challenges. District offered 90 minutes weekly direct behavioral services, 30 minutes consultation, two hours District supervision and two monthly hours supervision by Autism Partnership, and additional transition support hours offered, intended as a flexible collaborative effort to get Student’s program started, keep the program going, check in periodically with teachers and staff and with Student and make tweaks as necessary. As discussed above, the SCP placement would utilize social skills training and research-based behavioral strategies to implement all behavioral goals and address Student’s behavioral needs. Overall, Student did not meet his burden of establishing that District failed to offer appropriate behavior services, and Student’s contention therefore fails to establish a denial of FAPE. 42. Finally, the preponderance of the evidence demonstrated that all other related services and accommodations offered Student a FAPE within the meaning of Rowley. The SCP employed sensory strategies such as fidget toys, silicone balls, and Velcro on desks. The SDC classroom included a “calm area” with pillows where students could take breaks or walks. Ms. Wood led class discussions about skills to calm the body, self-assess how the body felt, and learn self-regulation skills. The SCP could accommodate gross motor skills breaks for sports or games. District also offered OT consultation services, consistent with the OT assessment recommendations, and the offered services were of appropriate duration and frequency to meet Student’s needs. Social skills were embedded in the day and included accommodations such as priming, self-monitoring systems, a token economy, training in emotional vocabulary, and warnings before transitions. Speech services were delivered to students through push-in to the SDC and also by pulling students out, working with peers in small groups, and then moving into larger groups and/or into mainstreaming. The offer of speech services was consistent with Student’s assessment recommendations and was appropriate to meet Student’s needs. 43. In sum, District met its burden of proof on Issue 5, that it offered Student a FAPE in the IEP at issue. In contrast, Student failed to meet his burden of establishing by the preponderance of the evidence that the offered placement and behavior services were not reasonably calculated to offer him a FAPE at the time of the offer. 2. District’s 2013 psycho-educational assessment is appropriate such that Student is not entitled to an independent educational evaluation at public expense. 3. The April 9, 2013 IEP and the October 10, 2013 addendum IEP offered Student a FAPE in the least restrictive environment, and may be implemented without parental consent if Student returns to a District school.